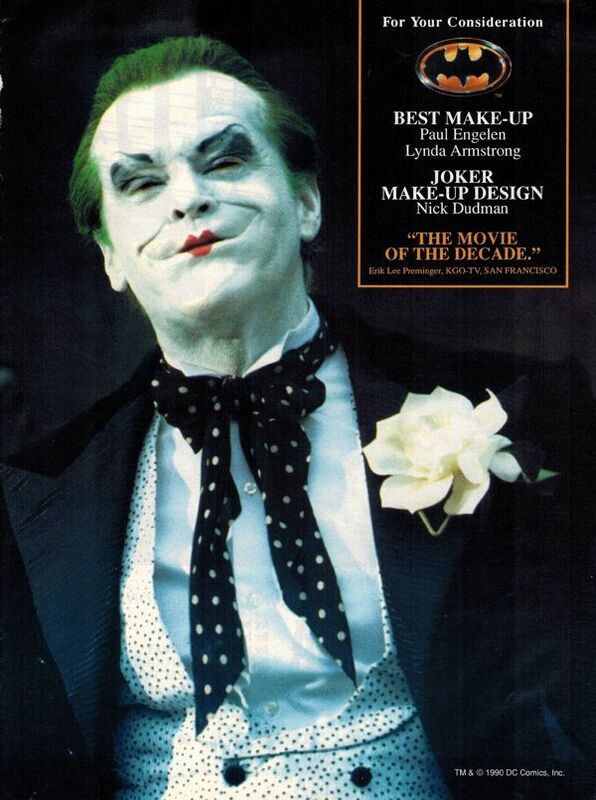 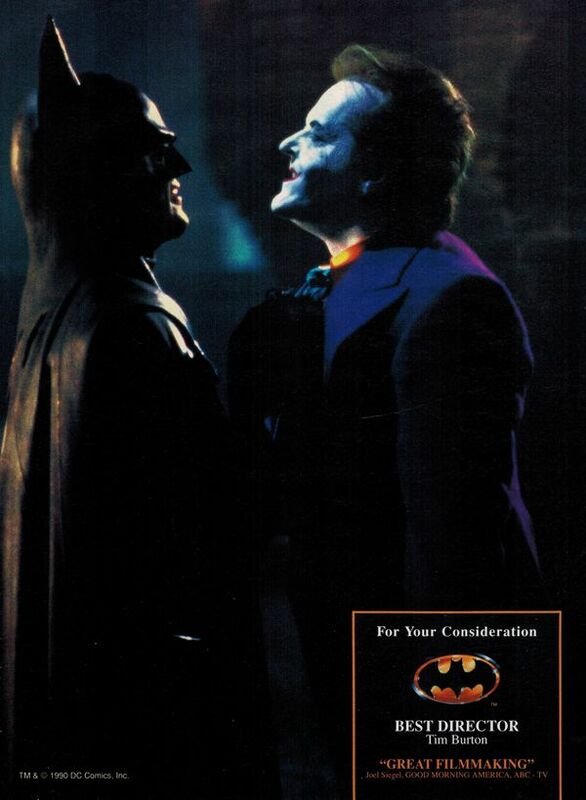 Though it was released during a time when action films were all but ignored at the Oscars, Warner Brothers made a valiant effort in getting Batman recognized during awards time. 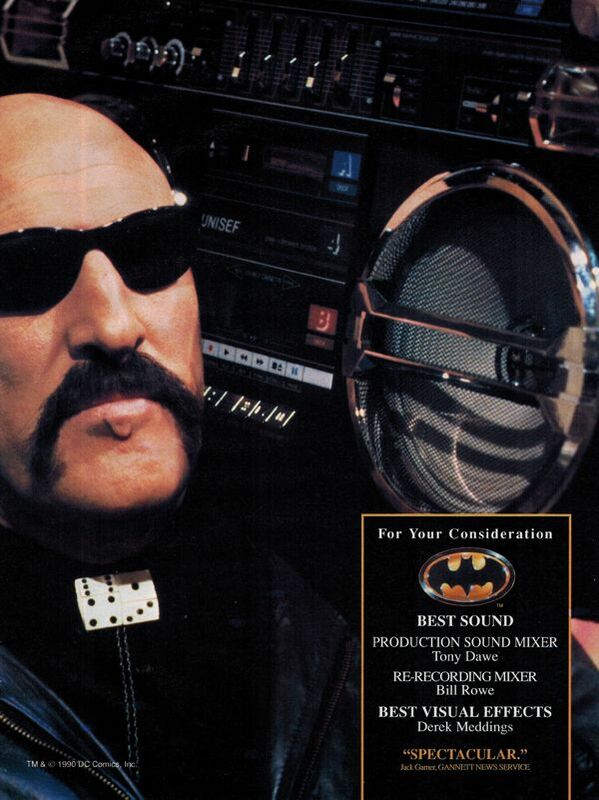 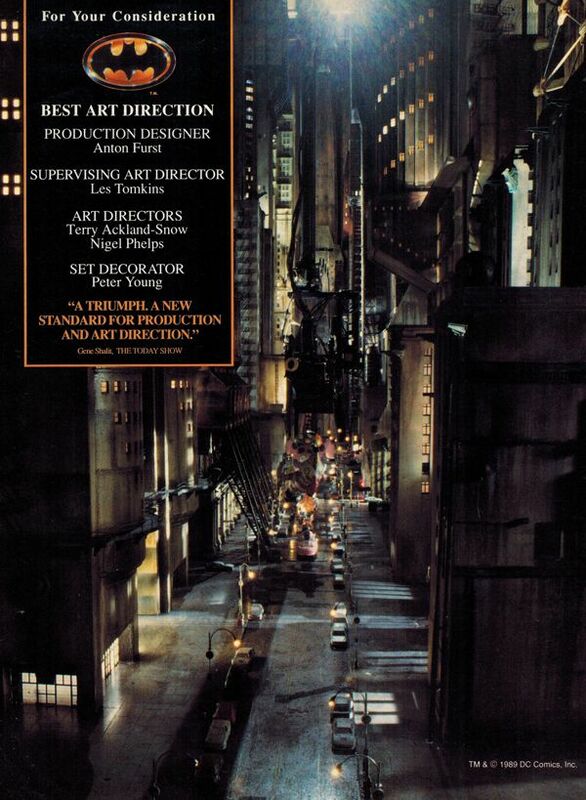 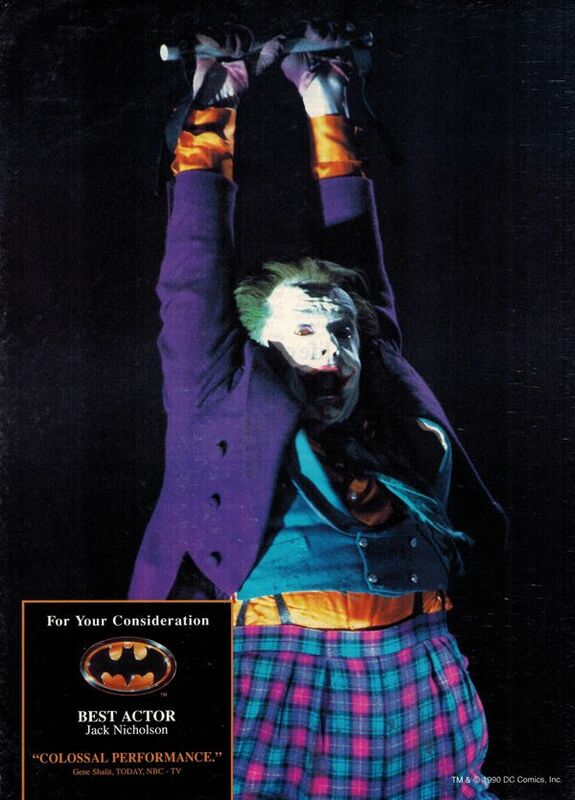 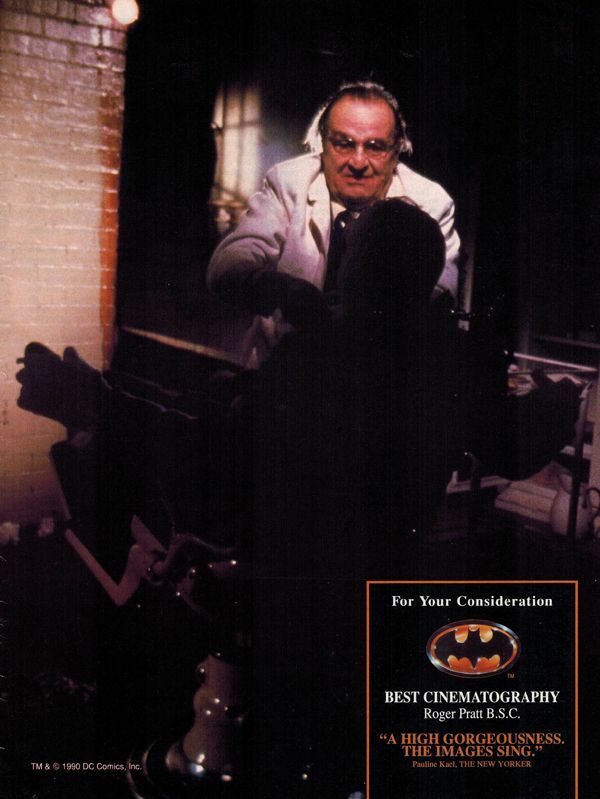 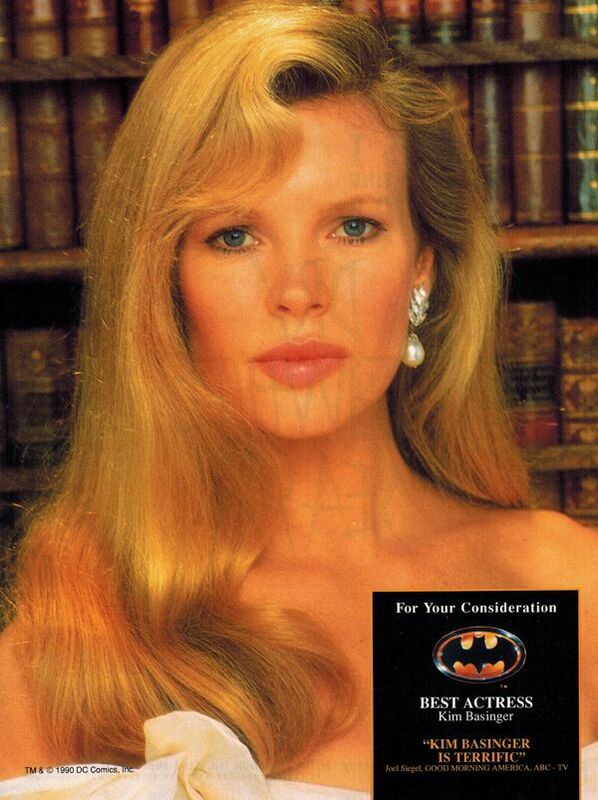 Presented here are some of the award recognition solicitation ads that ran in Hollywood trade magazines back in '89, covering everything from Best Director to Best Art Direction (which Batman actually won). 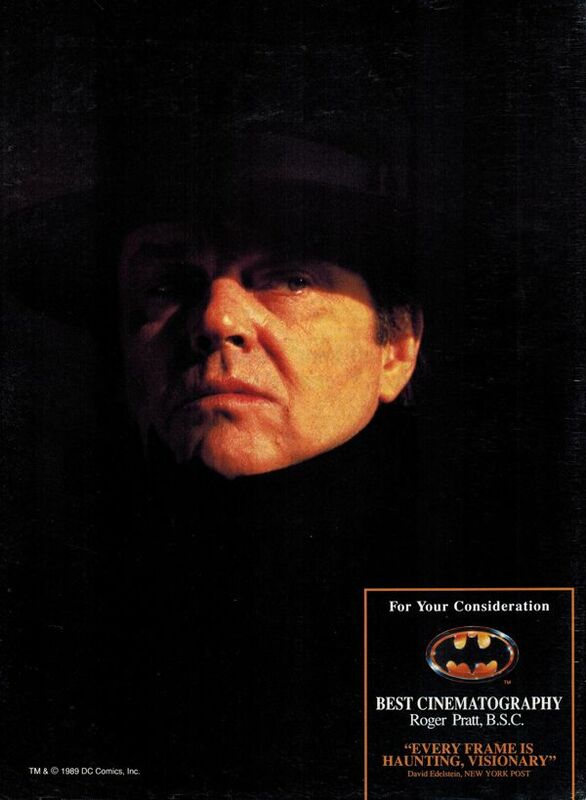 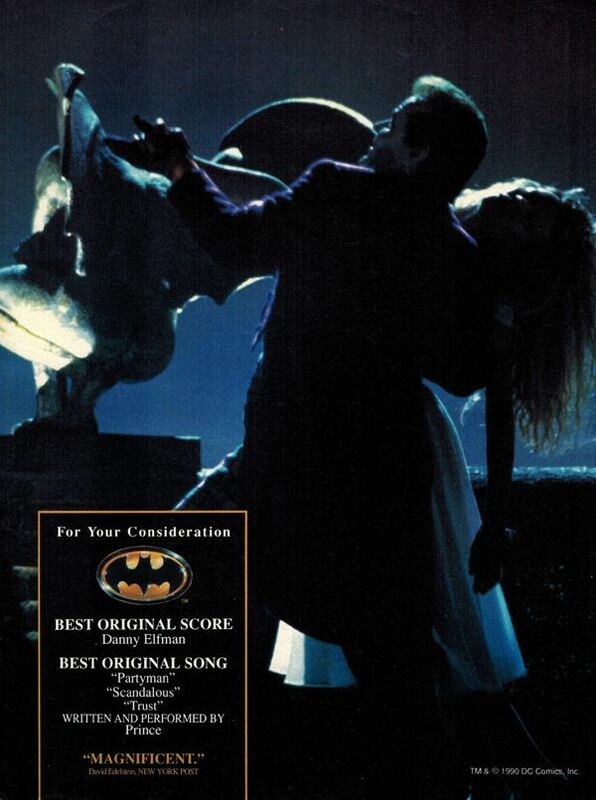 Please note- While I do have quite a few shown here, there are undoubtedly more of these ads out there, including at least one for Michael Keaton as best actor (which I do have somewhere and will add to the post when it is found). 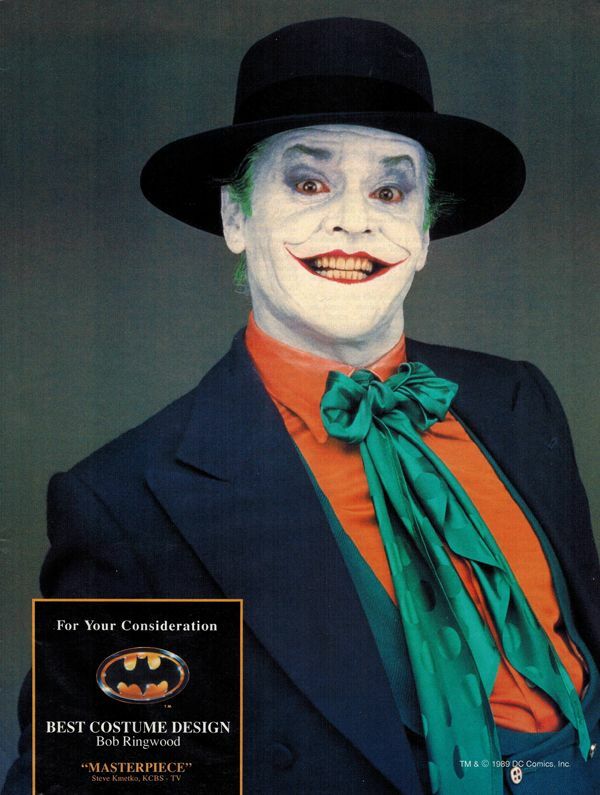 If you happen to have anything not represented in this post, please contact me at james@1989batman.com so that we can add it to the archive!